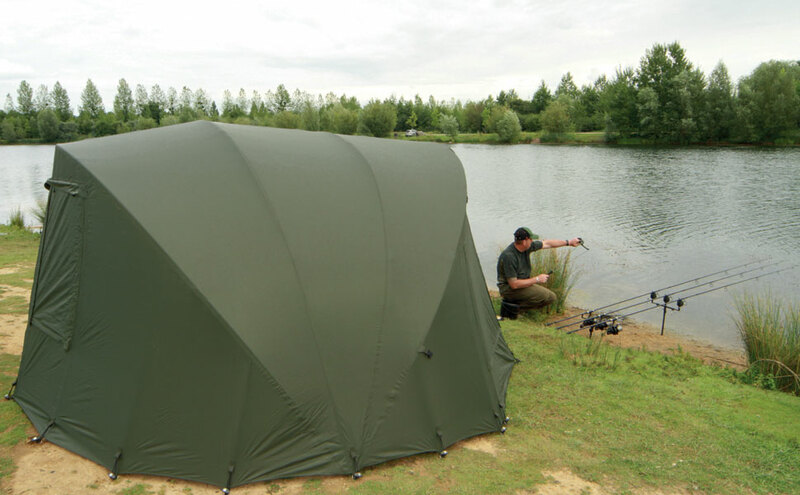 The gigantic Royale XXL shelter has proven to be one of our best selling bivvies of all time and has established itself as a firm favourite with continental anglers. This feature-packed design is perfect for anglers that require plenty of space and even allows you to stand up inside the bivvy, making changing clothes etc far easier. The Royale XXL has an Extending Wrap that can be purchased separately. By adding the extending wrap you not only make the XXL noticeably bigger but you also increase the warmth in winter, help to keep cooler in summer and reduce condensation. The front door on the wrap is designed to replicate the one on the main bivvy.